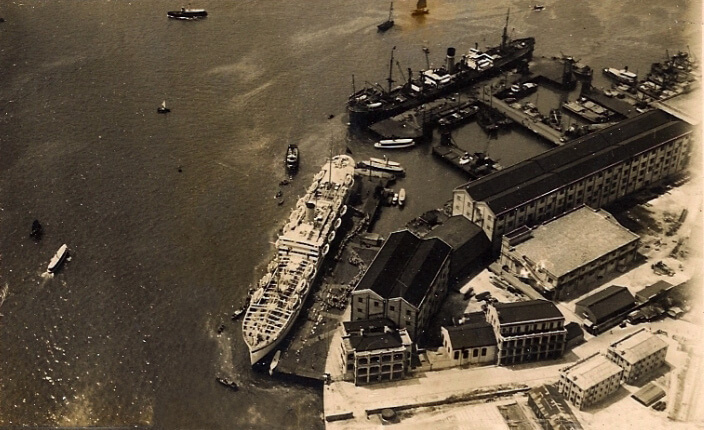 HF: Holt’s Wharf and the Godown were set up in 1910 and jointly owned by the Swire Group and Blue Funnel Line. Together they formed a railway and freight hub in Tsim Sha Tsui. See the article, Holts’s Wharf and Godown, linked below. ALFRED HOLT, born on the 13th June, 1829, was the third son of Mr. George Holt, of Liverpool. After being privately educated he was apprenticed in 1846 to the late Mr. Edward Woods, Past- President, under whom he gained a varied and extensive experience of railway surveying and construction and locomotive building. A depression following the railway mania, he turned his attention to marine engineering, and after a short time with Messrs. Lamport and Holt, of Liverpool, he engaged in practice on his own account in 1852 as a consulting marine engineer. To this he later added the commercial management of steamship lines, in which he showed considerable enterprise, and became very successful. In 1855 he commenced the first unsubsidized line to the West Indies, which formed the nucleus of the West India and Pacific Steamship Company. He also assisted in the establishment of Messrs. Lamport and Holt’s line to South America, and accompanied their first vessel, the ‘Kepler,’ in 1864 as volunteer supercargo and engineer, the vessel having been built to his design. Up to this period all steamship engines were of the low-pressure (generally under 20 lbs.) wet-condensing type, good specimens burning perhaps 5 lbs. of coal per IHP. per hour, but it was becoming daily clearer that less fuel must be burned if longer voyages were to be undertaken. Cornish engines were the school for fuel economy, and Mr. Holt made a complete study of these engines, applying his knowledge to marine engines. Of course the crux of the question was the employment of high-pressure steam, and Mr. Holt was probably the first to use high-pressure steam successfully at sea. In 1864 he fitted the ‘Cleator’ with a boiler carrying 60 lbs. steam, and the resulting economy in coal consumption proved it was possible for a vessel of 400 tons to undertake long voyages. The engine was a compound one with a single crank. Compounding was well known, but at sea had always been used in conjunction with low pressures, The ‘Cleator’ gave him confidence to build three vessels of about 2,300 ton4 each, with which his blue-funnel China line, known as the Ocean Steam Ship Company, began in 1866. The route had to be via the Cape of Good Hope, the Suez Canal not being open till the end of 1869, and the unbroken run between England and Mauritius was at that date a rather exceptional performance. The venture, though thought doubtful by many, resulted successfully, and has since become a large well-known steamship undertaking. In the whole of this he was associated with his brother, Mr. Philip H. Holt. In the early seventies, Messrs. Butterfield and Swire, his China agents, conceived the project of running steamers on the Chinese rivers, mainly on the Yangtsze. Mr. Holt secured financial support for the venture and advised as to the hulls and machinery. After an exhaustive study of American river-boats in 1872, Mr. Holt recommended the construction by Messrs. Inglis of Glasgow of four vessels based on the American type. Wooden hulls were replaced by iron, and the walking-beam engine was retained though somewhat modified. Complete success attended their performance and competition soon ceased. This was the nucleus of the China Navigation Company. His practice in connection with the machinery of steamboats involved his becoming acquainted with the cognate subject of hull-construction. To this he paid considerable attention and became somewhat of an expert. Mr. Holt was for over 25 years a member of the Mersey Docks and Harbour Board, and, having been chairman of several of the committees, was elected in 1891 and 1892 chairman of the Board. He took a great interest in the general business of the Board, and especially in the works and marine departments. He originally suggested the construction of an overhead railway on the line of docks, along which passenger traffic had become almost impossible. Whilst a member of the Dock Board he had noticed how Liverpool was handicapped by the carriers’ charges and trade taken away by preferences to competing ports. He thought his own trade injured thereby, and was sure the Dock Board suffered. To remedy this, he developed in course of time a system unfortunately, because inappropriately, called the Plateway. The ruling principle was the carriage of goods in a vehicle having flangeless wheels and capable of being drawn by horses on roads or by mechanical traction on flanged rails, the object being to abolish or largely reduce the heavy terminal charges which in Lancashire are responsible for nearly the whole cost of transport. His faith in the Plateway never diminished, and it was at all times a leading subject of his thoughts. In 1877 his Paper, entitled ‘A Review of the Progress of Steam shipping during the last quarter of a century,’ was read before The Institution. For this Paper he was awarded a Watt medal and a Telford premium. He was a member of the Institution of Naval Architects, a member and past-president of the Liverpool Engineering Society, and was twice a member of Lloyd’s Classification Sub-Committee. For many years he was also a member and ultimately chairman until its dissolution of the Liverpool Underwriters’ Registry of Iron Vessels. 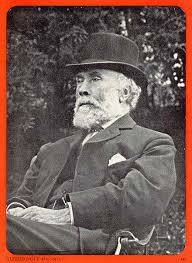 Mr. Holt died at Liverpool on the 28th November, 1911, in his eighty-third year. See: Grace’s Guide This is the leading source of historical information on industry and manufacturing in Britain. This web publication contains 103,890 of information and 147,479 images on early companies, their products and the people who designed and built them.